CRM’s Shouldn’t be the Leaders in Technology. Our guest is GoldMine Vice President, Paul Petersen. We were talking about technology iOS systems and not wanting to be the pioneer in these technologies, but to be able to respond properly and to have your product evolve to meet needs that are continuously evolving monthly; it seems like that they change and very rapidly. “What do you have this function?" "No we don't." We ask, "Do you use it?" CRMs and why there are so stinking many of them! Unlike accounting which is a pretty stable environment once you get your network going and how you want your invoices to look and things like that, you can turn that out for years in some cases without having to do much. But when you look at CRM it is a very evolving workspace. So CRM right? Customer relationship management is a bit of a misnomer because you are including customers, prospective customers, prospects. It turns into a lead management; it becomes this combination all-encompassing tool. CRM is all those places that connect all the muscles, connect the brain, nerve reaction so yeah lead processing which in all marketing you've got the sales department then you have customer service which can be run integrated or standalone and of course management wants to know what's happening. Which is CRM is the best for you, whether it's a proprietary one or some overall layer that knows how to play nicely with other systems? When you get to areas like finance or your general marketing and sales, people have tried to integrate things but are finding that day, if I have an integrated accounting pick it's got CRM. The CRM doesn't do such a great job after all or they focus on the wrong things – integration. I am spending a lot of money to create a record and accounting systems when I may be only do that 10 times a month right? So is that really a high-value area or it just creates a lot of technical complexity? I don't think… CRM's shouldn't be the leaders in technology. What they need to do is accommodate the most common technology and we are commonly going through things and saying… So for example we missed the quickness with which Android was becoming adopted. We looked at it, it was kind of a fragmented marketplace. We had iOS solutions smart phones, 98% of the market, it seemed like a no-brainer. Within six months of releasing the product, android had sorted that out primarily through Samsung driving it. They got one version of the operating system and they had some major carriers now carrying the devices and it was kind of a "Whoops!" So we did get there but we tend not to like to be the first in the market. You'll have to listen to the replay for the full conversation. How to Avoid the 3 Reasons for CRM Failure! There seems to be as many discussions about CRM failure as there are about CRM successes. A research report from Merkle Inc., in DM News said that 63% of the CRM Initiatives Fail. And yet there are roadmaps to avoid failure and experienced people can tell us how it’s done right the first time. 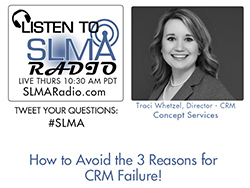 In our show this week, Traci Whetzel the Director of CRM at Concept Services outlines how to avoid CRM failure. The host is Jim Obermayer. Traci Whetzel, Director – CRM, began her career with Concept Services as a BDM, and during her tenure she has held a multitude of roles within the organization. Traci is a strategic and process driven manager with a passion for sales process design, results, CRM and all things technical. Concept Services is a growing company of over 80 employees that is looking to add talented and professional individuals to our team. We work with companies across the United States, Canada and Europe providing them with new business opportunities. We are strategically located between Cleveland and Canton for the purpose of attracting, acquiring and developing the best talent possible. Concept Services is primarily a New Business Development/Lead Management group. We work directly with our client’s sales force and provide them with an integrated solution for managing the front-end part of the sales process. Our services include prospecting, cold-calling, managing and qualifying inbound leads from your website or phone, customer care surveys and more, all for the purpose of uncovering new business opportunities. Why CRM is NOT a settled science! CRM has been around as a “new” process for 30+ years in various forms. And yet even with giants in the industry, new entrants emerge almost monthly and new capabilities continue to be added to even the pioneers in the industry. 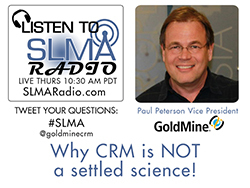 In the interview with industry veteran Paul Petersen, Vice President of Goldmine, we discuss why CRM is not yet a settled science and what the future may hold for this vital but aging process. The host this week in Jim Obermayer. Mr. Petersen is the general manager and vice president of the GoldMine business unit of HeatSoftware Inc. His career spans working with sales & marketing systems and process having developed, managed, and sold for companies including McDonald’s Corp, General Electric , Symantec, Allied Van Lines and now has 16 years with CRM background at GoldMine. Mr. Petersen holds a JD from Loyola University of Chicago and was one of the first to be awarded the Professional Certified Marketer designation by the American Marketing Association. Headquartered in Milpitas, CA., USA, GoldMine is a division of FrontRange Solutions. GoldMine is a leading provider of mobile relationship management solutions for small businesses worldwide. Over 1 million users have selected GoldMine to help them manage over 1 billion relationships. GoldMine has been selected by businesses in more than 80 verticals and 45 countries to grow their businesses and build enduring relationships. Of all the reasons to install and use Salesforce as a CRM system, measuring marketing performance is one of the biggies. And yet we still hear that campaign results are not measured consistently. Some will say that metrics will only be important if the campaign has metrics attached to them going into the launch. How can you measure something that marketing didn’t have the foresight to forecast the goals before launch? 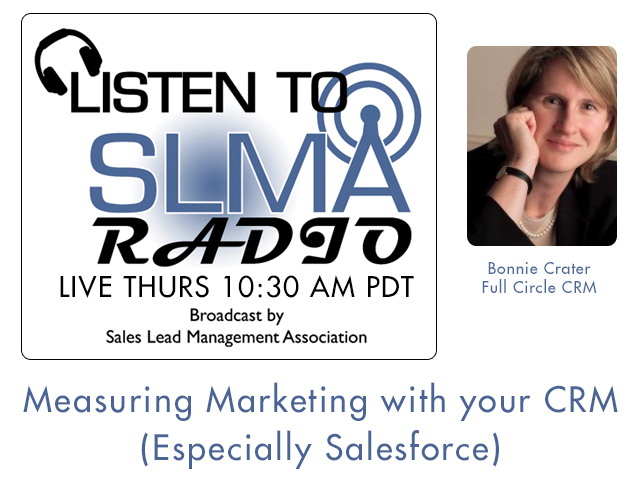 In this interview with industry veteran Bonnie Crater, CEO of Full Circle CRM, we explore how can you get intelligence to make decisions and not hum and haw when the CEO says, “What does Salesforce report on our marketing spend? What worked and what didn’t and why not?” The host for this program is Jim Obermayer, author of several books on managing sales leads. Prior to joining Full Circle CRM, Bonnie Crater was Vice President of Marketing for VoiceObjects and Realization. Bonnie has held Vice President and Senior Vice President roles at Genesys, Netscape, Network Computer Inc., salesforce.com, and Stratify, as well. A 10-year veteran of Oracle Corporation and its various subsidiaries, Bonnie served as Vice President, Compaq Products Division and Vice President, Workgroup Products Division. In addition, Bonnie was President and CEO of Zelerate, a provider of open source e-commerce solutions. In 2000, Bonnie was named one of the “Top 20 Female Executives in Silicon Valley” by San Jose Magazine. Bonnie holds a B.A. in Biology from Princeton University. Full Circle CRM provides Salesforce users a complete Marketing Performance Management solution that answers all of their marketing questions in one place and helps drive more revenue from every campaign with best-practice response lifecycle management, powerful weighted campaign influence models, and comprehensive marketing and sales funnel metrics. The company’s cloud-based products are built 100 percent on the Salesforce1 Platform and are compatible with the leading marketing automation solutions. All of your marketing data is in Salesforce, and so are the answers. Founded by former Salesforce executives, product managers, and marketing automation specialists – the Full Circle CRM team knows what it takes to run a successful marketing organization. Our team is passionate about giving marketers the answers they need to prove marketing’s contribution to the bottom line, plan with confidence, and grow revenue. Learn more at www.fullcirclecrm.com. We know that just buying and installing a CRM system is not a guarantee of success. And we also hear that 50% of CRM installations fail to meet a satisfaction level (some studies say failure is much higher). 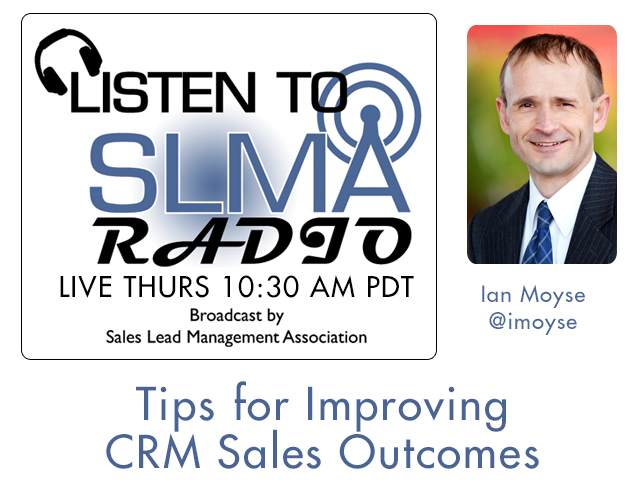 In our program this week we interview a well-known CRM Sales Executive, Ian Moyse as he discusses tips that can improve the chances for a successful CRM installation. Ian has been on our show several times (January 6, 2015 and Oct 21, 2014). Why is Workbooks.com named one of the top CRM Solutions? CRM is a crowded field, and it is difficult to decide which program is best. After All, best is in the mind of the user. Workbooks.com was named one of three of the top CRM Solution. 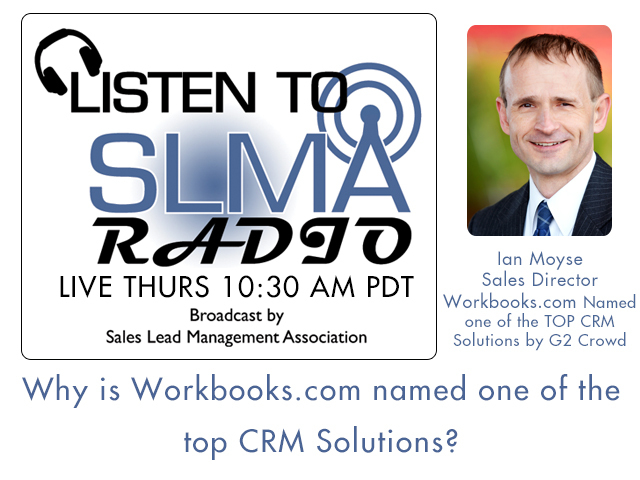 Considering Ian Moyse the sales director has been named one of the most influential people in sale sales management and his SLMA Radio program was one of the most listened to shows in 2014, we decided to ask Ian why Workbooks.com got such a high rating from G2 Crowd, Inc.
Workbooks is a provider of a cloud based CRM Application that goes beyond traditional CRM and is designed specifically for small and mid-size organisations. Workbooks won CRM of the Year 2014 & 2013, is rated the #1 for customer satisfaction by independent G2 Crowd and won CRM Wards ahead of 31 other CRM vendors in 2014. Workbooks also won a TMC Cloud Computing Excellence Award in both 2014 & 2013 was recognized with a 2014 award for Most Innovative Cloud Best Practice by Channel Partners. Our suite of products enables our customers to accelerate sales growth, improve marketing execution, streamline business processes and improve the quality of customer support they deliver. How to avoid CRM implementation failure! It depends on what report you read, but we know that CRM or sales automation installations are fraught with frustration and failure. It isn’t unusual that companies go through 2-3 CRM companies until it has a system that works for everyone. 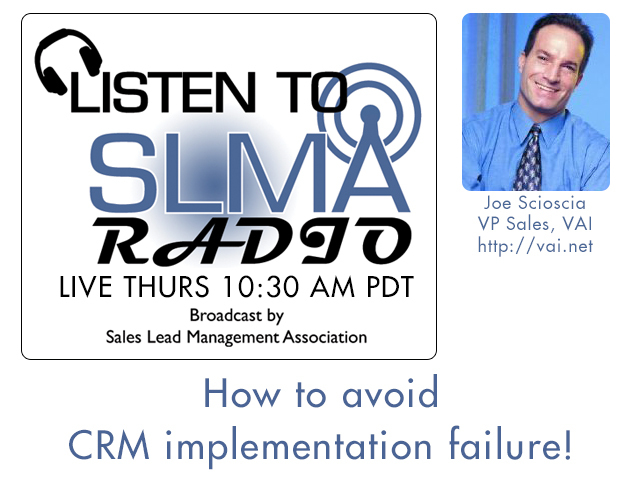 In this interview, host Jim Obermayer, asks Joe Scioscia, VP of Sales at VAI how to avoid common CRM installation failures. Joe Scioscia is a top flight expert on the subject and in 25 minutes he will guide us out of the corn patch maze known as CRM Implementation. Joe Scioscia is VAI’s Vice President of Sales. VAI is a leader in ERP Solutions for dynamic growth companies. Joe’s responsibilities include both direct and indirect sales, worldwide field support, field strategy and planning, sales operations, and product development. Joe has been selling Enterprise Management solutions to Distribution and Manufacturing companies for over 25 years, and has helped some of the industry’s most recognized companies improve efficiencies and responsiveness. Joe is an IBM Certified Specialist and has spoken at numerous events as an industry speaker. VAI is a leading independent mid-market ERP software developer renowned for its configurable solutions and ability to automate critical business functions for the distribution, manufacturing, specialty retail and service sectors. An IBM Premier Business Partner, VAI is the 2012 IBM Beacon Award Winner for Outstanding Solutions for Midsize Businesses. The company continues to innovate with new solutions that leverage analytics, business intelligence, mobility and cloud technology to help customers make more informed business decisions in real-time and empower their mobile workforces. VAI is headquartered in Ronkonkoma, NY with branch offices in Florida, Illinois and California. Sales Force Automation (SFA) streamlines all phases of the sales process, minimizing the time that sales representatives need to spend on each phase, allowing sales representatives to pursue more clients in a shorter amount of time than would otherwise be possible. At the heart of VAI S2K Sales Force is a contact management system that tracks and records every stage in the sales process for each prospective client, from initial contact to final disposition. From the main contact screen the sales team can review current leads, convert leads to prospects, and prospects to customers. The sales representatives can manage contacts and track all interactions with existing accounts and opportunities. Users can log a call, create to-dos, schedule events and add notes. Events can be posted to their calendar and open to-do lists will keep sales representatives up-to-date on all upcoming activities. Activities get posted to history so that users can easily review all of their interactions with an account. 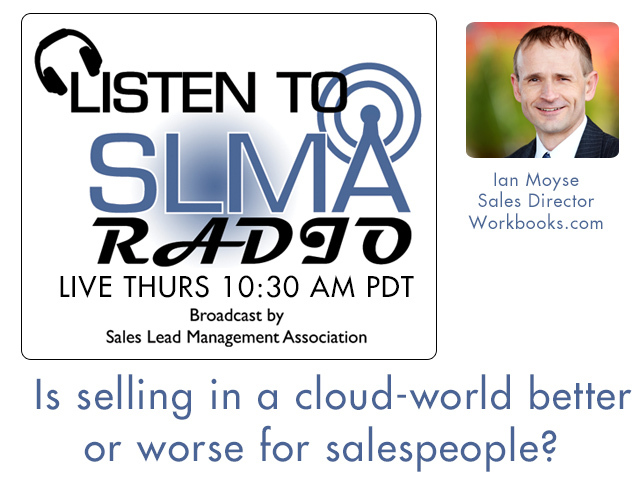 Is selling in a cloud-world better or worse for salespeople? There is a genuine excuse salespeople use that they spend so much time researching on the web, updating the CRM system, and linking on social media, in short doing everything management tells them to do, that they don’t have time to sell. Ian Moyse tackles the subject with the insight of a recognized cloud expert. In this fast-paced interview, CMO Eric Quanstrom makes the thoughtful, bold statement, that of all the CRM systems, only Pipleliner CRM is a serious challenger to SalesForce dominance in the CRM space. Eric contents it is their entire entrepreneurial approach that will be welcomed by salespeople and copied by other CRM companies as the future of CRM. At a recent reception in Los Angeles at the Johnathan Club, CEO Nikolas Kimla and Eric said that times have changed, but SalesForce hasn't (my interpretation). It should be an interesting interview. 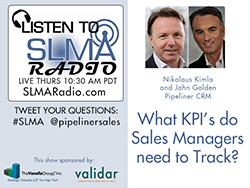 Nikolaus Kimla is the founder and managing partner of Pipelinersales, Inc. and the creator of Pipeliner CRM software. More than 19 years ago, Kimla set the foundation for Pipeliner’s future with his company uptime ITechnologies. Kimla is also the initiator of the independent economic platform GO AHEAD! based on the principles of free market economy. GO-AHEAD! is about connecting people and business leadership around values such as freedom, responsibility, and entrepreneurial spirit. In addition Kimla is a renowned author and works by Kimla include Salespeople Embracing It All, The IT Revolution and Empty Coffers--New Burdens. Eric Quanstrom is Chief Marketing Officer for PipeLiner, Inc. Quanstrom brings a rare combination of marketing, digital media, technology, and strategic experience to his role, (July 2014) where he guides global marketing activities, including inbound, web presence, social media, corporate communications, and user experience programs which build on Pipeliner's commitment to be the leading sales management tool in the world. Previous to Pipeliner, Quanstrom was CMO/VP, Marketing & Sales at Nimble, a business and social relationship management tool, leading over 4X growth across key metrics. Prior to Nimble, Quanstrom was Chief Operating Officer (COO) of Sorenson Media, an award-winning provider of high-quality video solutions such as Sorenson Squeeze, the gold standard in video encoding and the original video codec company behind Flash and Quicktime. Quanstrom, who guided over 50% revenue growth while at Sorenson Media, is also adept at leading marketing at startups, serving as vice president of consumer marketing and business development at SightSpeed, which was acquired by Logitech in October 2008. Other past successes include roles as director of marketing and sales for Appellation America, an innovative online wine portal, and the West Coast head of the Fox Online Properties (FoxSports.com, FoxNews.com and Fox.com). Designed by sales professionals for sales professionals, PipeLiner is a next-generation CRMone that works with the entrepreneurial personality of sales professionals to help them do their jobs more productively and effectively. Visualize your sales pipeline and gain actionable insights. Open your Pipeliner CRM and get an instantly readable graphical overview of all your opportunities in the context of your sales process. A visually rich, uncluttered model of your actual sales pipeline acts as your interface. It's real-time sales data, organized so you can always remain focused on revenue targets. Your Pipeliner CRM system is available anytime, anywhere in the world. We use a unique hybrid approach—a blend of Cloud-based and on-premise engineering—we call it the SMART Cloud. Your data is always safe in the Cloud, but you are always able to work with your entire system anywhere. Pipeliner CRM for sales teams makes it easier to visualize and follow your sales process. Pipeliner is affordable, easy to implement, and has a high rate of adoption by salespeople and teams. Why isn’t your CRM System Working? SLMA Radio Host Jim Obermayer interviews Dan Rogers CEO and CJ Cunniff, VP of BD of SmartLead, on the important subject of why CRM systems have such a high dissatisfaction rate. More than 80% of all B2B companies have a CRM system in place, but there are reports saying only about 50% or less are satisfied. In this 40 minute program the experts from SmartLead will tackle the high failure rate and what can be done about it. We will explore the usual suspects for failure: setup, training, sales processes, reporting, databases, qualified lead definitions, sales rep buy-in, etc. 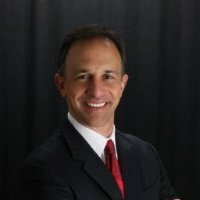 Dan Rogers is the CEO of SmartLead and drives the company’s vision. With more than 22 years of executive experience, Dan’s leadership expertise includes international assignments. In New Zealand, he was a charter member of the CLEAR Communications management team. In Ireland, Dan served as the Director of General Operations at East Telecom. And in the Netherlands, he worked for Versatel Telecommunications. Prior to joining SmartLead, he also served as Vice President of Customer Solutions for APAC Customer Services and Vice President of Customer Services at Telecom USA in Cedar Rapids, Iowa. 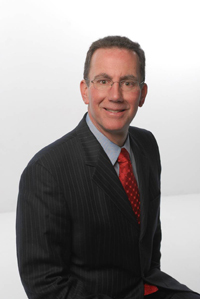 Dan is also a member of the Sales Lead Management Association’s Advisory Board. Dan’s state appointments include the Iowa Capital Investment Board and the Iowa Emergency Response Commission. He holds a Bachelors Degree from the University of Iowa. CJ Cunniff is the Vice President of Business Development for SmartLead. Mixing marketing with web programing, CJ understands how marketers can succeed in the digital world. CJ has lead the SmartLead Sales and Marketing teams since 2011. He has over 12 years of marketing experience in private and public sectors, 5 years in web programming and 7 years leading teams in digital and mixed media efforts. CJ is Google Analytics certified and specializes in lead generation and management through the sales life cycle. Since 1981, companies have relied on SmartLead’s customized lead management systems and best practices to smoothly and seamlessly manage leads from the moment the leads are generated, through qualification, ranking, nurturing and distribution to sales people or channel partners. In-house marketing services: contact center, direct mail, email, printing, web hosting, and fulfillment/warehouse. Large companies with complex sales or dealer distribution systems rely on SmartLead to simplify the Herculean task of managing thousands of leads from multiple sources. SmartLead smoothly and seamlessly manages the lead process from the moment the leads are generated until the leads are qualified and distributed to sales people or channel partners. Is the traditional sales compensation program for B2B dead? SLMA Radio Host Jim Obermayer will ask Daniel Perry of Sales Benchmark Index the tough questions. 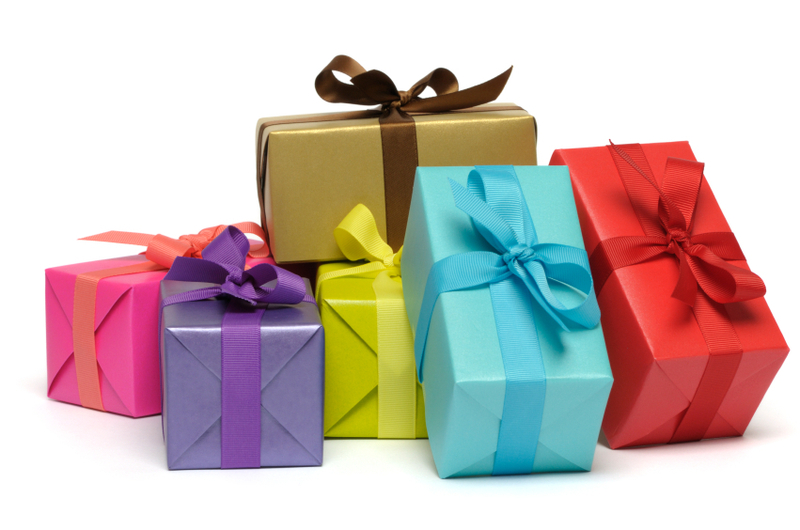 Is the traditional sales compensation program of salary plus commission obsolete? Are commissions dead as a motivator? How much should the base salary be as a percentage of the whole package? Is it time to change commissioned sales reps to just a salary? Are draws again commission still used? Are companies paying for sales lead follow-up? Prior to joining Sales Benchmark Index, Dan held executive sales leadership positions 'making the number' at Aramark, Corporate Express, Lavi Industries and 3 Day Blinds. In these roles, he held global responsibility for sales strategy, market segmentation, demand creation, sales process, channel design, organizational structure, sales force capacity planning, and served as a member of the executive management committees. Dan is an is adjunct professor at Pepperdine University for their MBA program specializing in Sales Management. He earned a BA in Economics from Illinois Wesleyan University. Sales Benchmark Index provides sales consulting services to leading organizations across the private and public sectors. These companies are seeking to increase their rate of revenue growth. Unlike traditional sales improvement approaches, such as software implementations or skills training, SBI offers superior value because it relies on the benchmarking method to deliver results. This method of sales consulting allows for results to be delivered quickly with little organizational disruption and it is accomplished through the use of best-in-class diagnostic tools and solutions that are supported with verifiable truth. Each project is executed by the most experienced team of advisors in the industry. 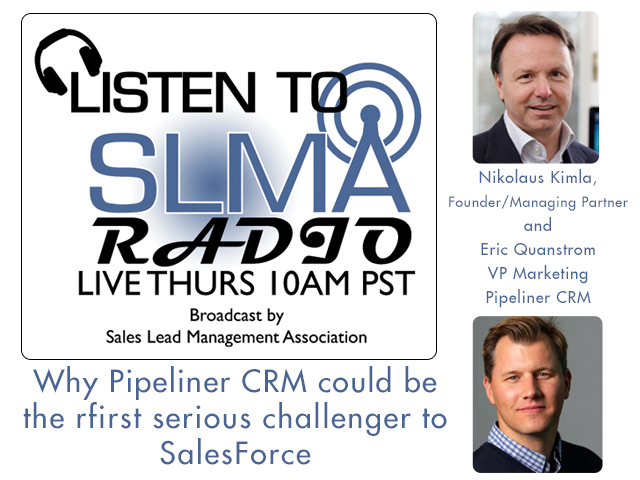 Nikolaus Kimla is the founder and managing partner of Pipelinersales, Inc. and the creator of Pipeliner, a revolutionary sales CRM software. At the foundation of the development of the company and the Pipeliner product is a business philosophy based on the Austrian School of Economics. Kimla is also the initiator of the independent economic platform GO AHEAD! which orientates itself on these principles of a free marketplace in terms of liberal and social responsibility. 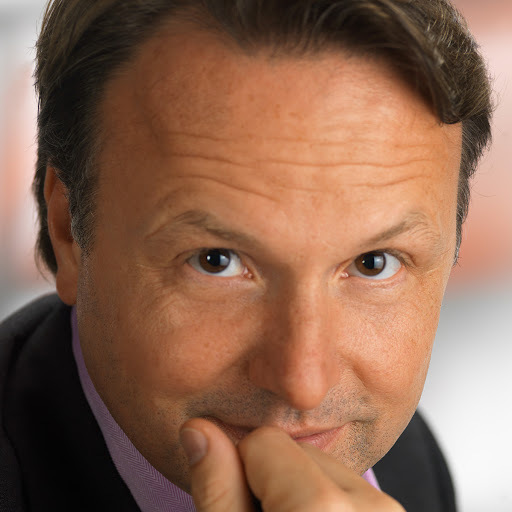 Nikolaus Kimlas is also a renowned author and has just released a new book entitled Salespeople Embracing It All. Previously published works by Kimla include The IT Revolution and Empty Coffers--New Burdens. Pipeliner is the only CRM software available that enables automatic synchronization for both Mac and PC systems—locally or through the cloud. Unique to Pipeliner CRM is an intuitive graphic representation of the sales process, or pipeline. This enables the individual salesperson, as well as management, to be intimately involved with the sales process. Sales reps can clearly and quickly see where in the sales process their deals stand, and can customize this sales CRM software to their needs. Pipeliner empowers salespeople to be the entrepreneurs that they are—an approach that has revolutionized CRM software. SLMA CEO Jim Obermayer says that software programs that explain the most data, and are verified by the most evidence, are better than those that do not. He'll discuss how CRM properly applied, along with marketing automation, gives the most data on marketing performance and gives more evidence than any other combination of software. In essence, those with the most data will win. But, he says, "You have to manage the sales lead system to win." During this program Obermayer contends that those with the most marketing toys win. But tools without leadership are just tools in the hands of fools. Obermayer is an author (four books) and a speaker on subjects of sales lead management, sales enablement and marketing ROI. He is the founder and of the world-wide 6200 member Sales Lead Management Association, which also has a Linkedin Group of 2987 members. The SLMA is the sponsor of the yearly Sales Lead Management Week, the annual contest for the 50 Most Influential People in Sales Lead Management, and the nomination and naming of the 20 Women to Watch in Sales Lead Management. The SLMA also hosts the weekly c-level interview program; SLMA Radio. 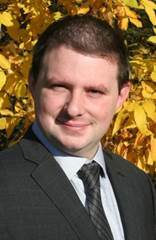 Obermayer is the Vice President of Business Development at Vitech Corporation.